I felt disappointed and a bit confused after watching Fat Vs Sugar. I have done so much research in to the healthiest ways to eat and lose weight and I am convinced it is best to cut out sucrose all together, limit fructose, never eat trans or hydrogenated fats and limit saturated fat. Eat lots of vegetables, plenty of lean meat, fish, pulses, beans, lentils and some nuts and seeds. So the conclusion to Fat vs Sugar threw me a bit lot. I wondered if I was on the right track after all. Thank goodness for the commentary from Dr Briffa. You can read it here. I was definitely lulled in to accepting what I saw in Fat vs Sugar because Horizon has a reputation for quality documentaries and the 2 men in the study were intelligent and Doctors so very credible. But it was flawed and I did feel uneasy about some of the tasks they did while I watched it but why would I know better? I agree there was a bias in favour of cutting fat rather then sugar. Thank you Dr Briffa for reassuring me that I am on the right track. 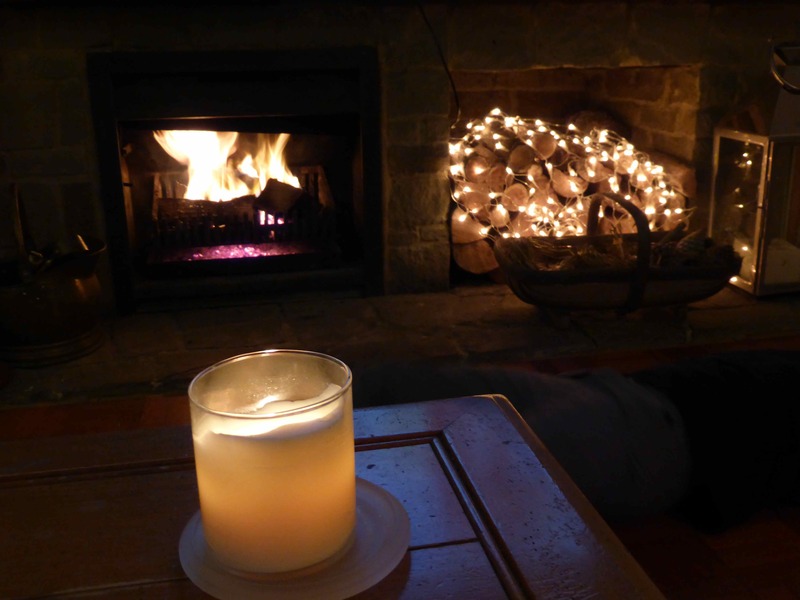 I was very busy working today so didn’t manage to prepare anything that took longer than a few quick minutes. 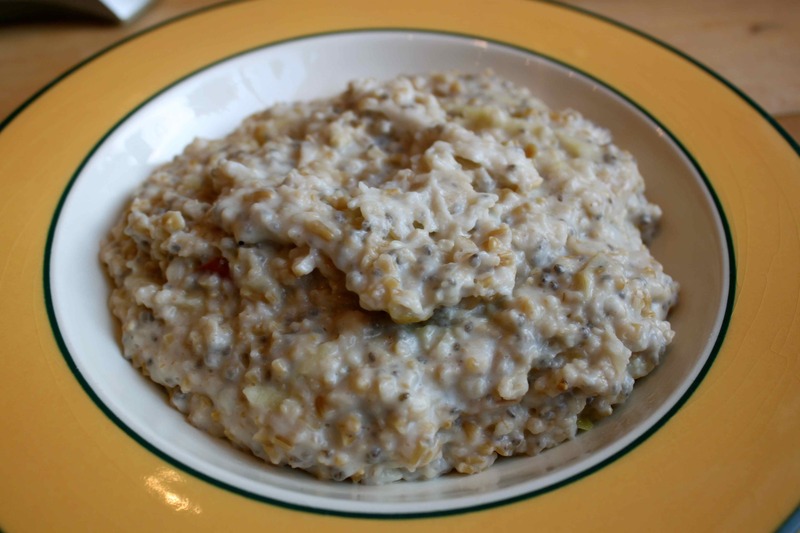 A modest bowl of apple and chia seed porridge. 422 calories. 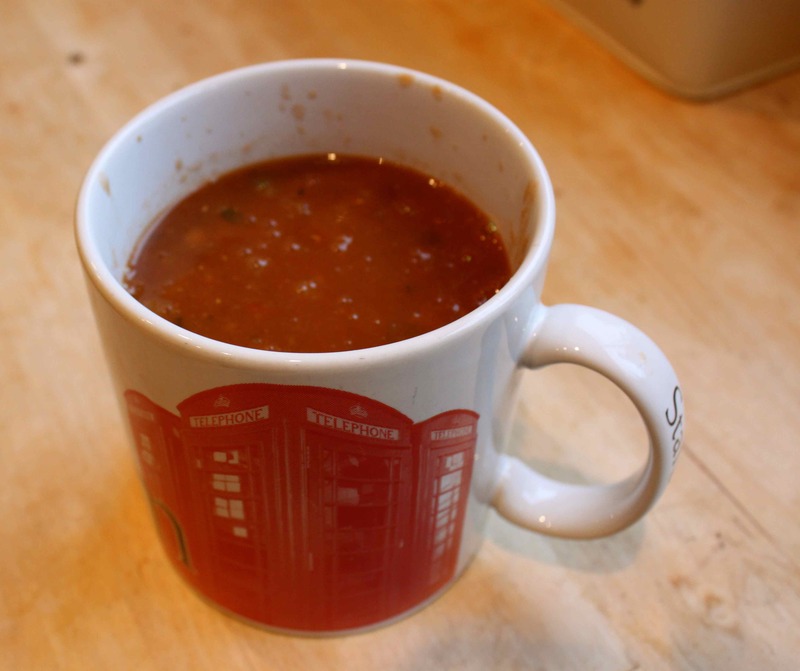 Lunch was a large mug full of the same soup I had yesterday – Biona’s hearty lentil. This was a supper that took minutes to prepare and used up leftovers. 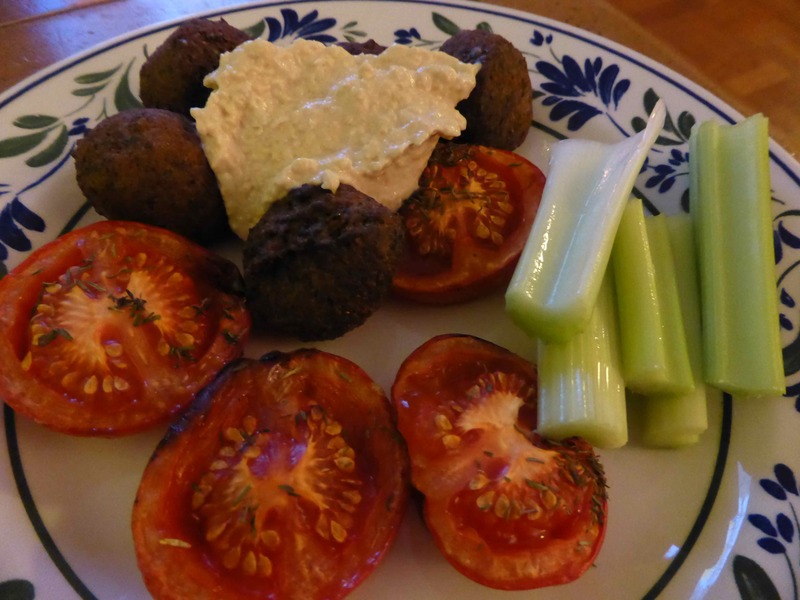 I roasted 2 large tomatoes that were a bit too ripe to enjoy raw, 5 spinach falaffels, 50 g houmous and some celery. I did it, I lost 21 pounds and I feel much better. Tomorrow I am having an eat and drink what I like day. Right now I am most excited about having a cup of tea with milk in it first thing as I have really missed that. I do have 12 friends coming round for supper so I suspect there will be some alcohol and pudding indulgence and then it will be back to the rules. They may be different to the January rules though, we shall see. Apart from the no sugar rule. That will definitely be back in place. So many researchers can not be wrong that sugar is the worst food for health and weight. This entry was posted in Uncategorized and tagged Sugar. Bookmark the permalink.